The viola part for the overture to Glinka's Russlan and Ludmilla has been edited by Charles Pikler, principal violist of the Chicago Symphony Orchestra since 1986. Pikler's bowings, fingerings and other editorial markings have been added throughout the score. Russlan and Ludmilla is an opera in five acts composed by Mikhail Glinka between 1837 and 1842. It is based on the 1820 poem of the same name by Alexander Pushkin. The Overture is the most well-known music from the opera. 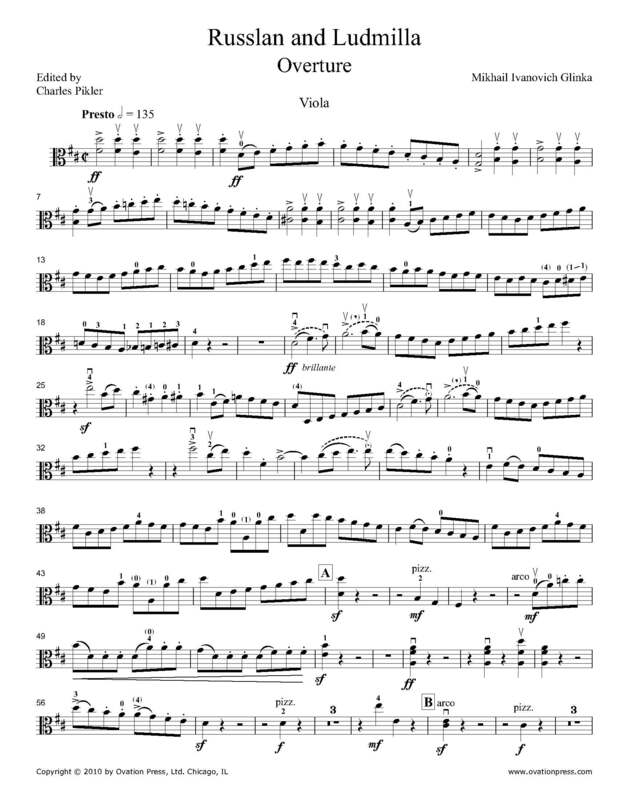 Download and print the score today to gain access to expertly edited Glinka Russlan and Ludmilla Overture viola fingerings and bowings from Charles Pikler!